cellassign automatically assigns single-cell RNA-seq data to known cell types across thousands of cells accounting for patient and batch specific effects. 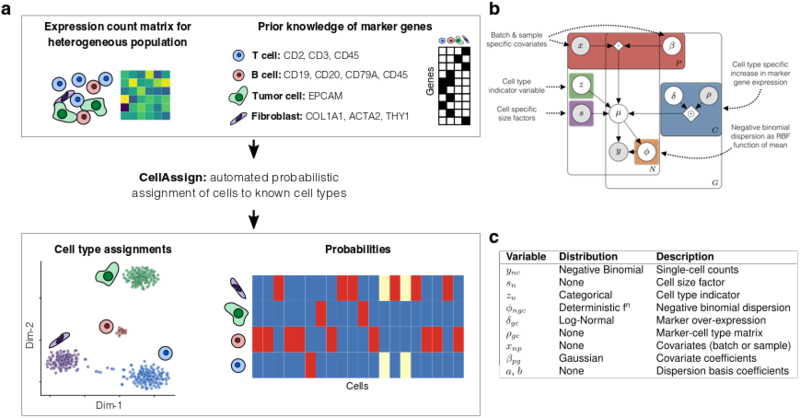 Information about a priori known markers cell types is provided as input to the model in the form of a (binary) marker gene by cell-type matrix. cellassign then probabilistically assigns each cell to a cell type, removing subjective biases from typical unsupervised clustering workflows. Please see the package vignette for details and caveats.